If you are looking for self catering cottages in the area, then here at DSC Holiday Cottages we have some ideal options for you. Both of the cottages that we have – one located in Burnsall and the other in Grassington – have been awarded a 4-star rating by Visit England. 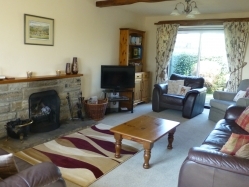 Both areas are located close to the Yorkshire Dales and there are plenty of places to visit in the local area. From valleys and rivers to mountain walks, you are sure to find something for you. Want to find out more? Click here for the cottages availability or call us today on 01756 752435. Whether you stay in The Sycamores or Manna Cottage, we always offer the best of comforts. All prices are inclusive of all costs, ensuring that you never experience any further costs. Our cottages include bed linen, heating, electricity, hot water, kitchen linen, and free WIFI. There is also a welcome tray with milk, tea, coffee and biscuits provided. Whether you are staying in or nearby, there are endless places to visit. As one of the most stunning areas in the region, the Wharfedale is known for its limestone cliffs. The River Wharfe flows through the area, providing endless places to walk. There are plenty of pubs, museums, galleries, walks, and shops to enjoy. No matter what you are interested in, there is bound to be something that interests you. For more details about the self catering cottages that we have available in and around , contact us today. You can call us on 01756 752435 or fill in our contact form here.